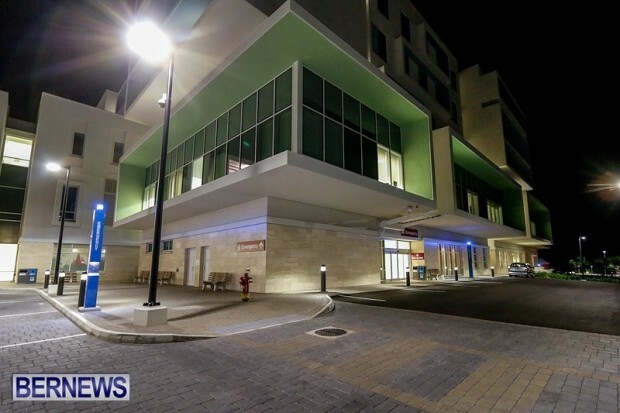 Bermuda Hospitals Board [BHB] and Paget Health Services [PHS] announced that a refinancing of the Acute Care Wing Public Private Partnership Project’s senior debt has taken place, which will see BHB’s annual service payments reduced by $527,250 per year for the rest of the contract term of 29 years. BHB CEO, Venetta Symonds, comments: “PHS’s financing solution encouraged PHS to refinance its debt in the first 20 years of the concession. Our contract with PHS ensured that BHB would benefit from such a refinancing. PHS Director, Robert Wotherspoon, adds: “We were very pleased to complete the important refinancing of senior debt related to the Acute Care Wing, which showed both PHS and BHB working together in partnership. “This refinancing allows both BHB and PHS to benefit from improved financing terms and does not preclude future refinancing opportunities should the conditions again prove to be favourable. How nice – we go from 20 years to 29 years to pay off the debt. Great deal for taxpayers. The airport will go from 30 years to 50 years if arrivals keep declining. It was always 30 years (29 now, one year on). What was the cost of this re-financing I wonder? Lenders don’t give up a guaranteed stream of future income at a set level for another stream of equal length at a lower level without some form of compensation. If there was optionality built into the original financing agreement then that could have been factored into the original pricing, but it would be nice to learn the details. All BHB’s costs for the refinancing were covered by PHS. ‘Learn the details’ from the BHB – you must be in cookoo land. They did not inform the true finance cost of the ACW in the first place. The public need more detail to assess the financial impact of the refinancing. Did we simply extend the term and therefore pay more interest? Did we pay any penalty tied to the refinancing? What was the original rate vs the new rate? Was there any change in security? The whole thing was a plot to make more money (not for Bermuda) and the OBA need to stop forcing the airport down our throats and pay attention to what’s probably going to happen that project a few years after completion. …and the questions are on-going. What is the current position of the WHY IT MATTERS fund raising campaign? Where did the $7m come from – really – to make up the first payment of $40m and so on?